Konopiště is mentioned by Müllerová already in the opening passage as she explains Švejk which Ferdinand has been murdered: "the Archduke Ferdinand, the one from Konopiště, the fat one, the religious one". Konopiště is a village and castle by Benešov that from 1887 to 1914 was owned by Franz Ferdinand, then Austrian heir to the throne. He and his family lived there for long periods. The castle is now a museum which exhibits amongst other items, Franz Ferdinand's around 475,000 hunting trophies and large amounts of classic furniture and paintings. In 1913 the village had 115 inhabitants, spread across 13 houses. It belonged to okres og hejtmanství Benešov. The municipality of the same name was somewhat larger: 484 souls living in 53 houses. Sarajevo is first mentioned by Müllerová as she tells Švejk about the assassination of Franz Ferdinand. Later in the chapter the conversation at U kalicha revolves around the murder on the emperor-to-be and Sarajevo is mentioned many times by Bretschneider, Švejk and Palivec. Sarajevo was in 1914 as now the capital of Bosnia­-Hercegovina­. In 1878 Austria-Hungary occupied Bosnia­-Hercegovina­ although it formally remained a part of Turkey until 1908 when it was annexed by the Dual Monarchy. The annexation caused resentment in Serbia. The Bosnian capital was on 28 June 1914 the scene of the murder of Franz Ferdinand, an act that indirectly led to the outbreak of World War I. The killing was carried out by serb extremists. The murders in Sarajevo is very directly the starting point of the novel these web pages are about. [1.1] „Práskli ho v Sarajevu, milostpane, z revolveru, vědí. Jel tam s tou svou arcikněžnou v automobilu.“ „Tak se podívejme, paní Müllerová, v automobilu. Jó, takovej pán si to může dovolit, a ani nepomyslí, jak taková jízda automobilem může nešťastně skončit. A v Sarajevu k tomu, to je v Bosně, paní Müllerová. To asi udělali Turci. My holt jsme jim tu Bosnu a Hercegovinu neměli brát. Bosnia is first mentioned by Švejk when he states to Mrs Müllerová that Sarajevo is in Bosnia. Later, during the conversations at U kalicha mellom Bretschneider, Palivec and Švejk, and the area is mentioned several times. In Budapest a Bosnian regiment is mentioned. Bosnia is often mentioned together with Hercegovina as Bosnia and Hercegovina. This is the political unit that both areas belong to. Bosnia and Hercegovina have long been purely geographical terms. The area was annexed by Austria-Hungary in 1908. This led to widespread dissatisfaction amongst serbs and is arguably the main reason for the grievances that led terrorists to plot and execute the murder of Franz Ferdinand. [1.1] „A v Sarajevu k tomu, to je v Bosně, paní Müllerová. To asi udělali Turci. My holt jsme jim tu Bosnu a Hercegovinu neměli brát." Bosnia and Hercegovina is first mentioned by Švejk when he states to Müllerová at Sarajevo ligg i Bosnia and that Austria-Hungary shouldn't have taken it from the Turks. Later on the area is mentioned in the conversation at U kalicha between Bretschneider, Palivec og Svejk. Bosnia and Hercegovina was (and is) is the political entity consisting of Bosnia and Hercegovina. The area was annexed by Austria-Hungary in 1908. This led to widespread dissatisfaction amongst Serbs and is arguably the main reason for the grievances that led terrorists to plot and carry out the murder of Franz Ferdinand. Nusle is first mentioned by Müllerová when she refers to an assault with a revolver which took place there in her home town. The area is later referred to by landlord Palivec at U kalicha and it is obvious that Nusle had a bad reputation at the time. There are several references to locations in Nusle later in the novel, the tavern U Bansethů being amongst them. Nusle was from 1898 a town in the Prague conurbation belonging to hejtmanství Královské Vinohrady. In 1922 it became part of the capital. It grew during the industrial revolution and in 1913 it counted 22,755 souls where nearly all registered Czech as their mother tongue. Riegrovo náměstí (now Náměstí Bratří Synků) was regarded the centre of the town. 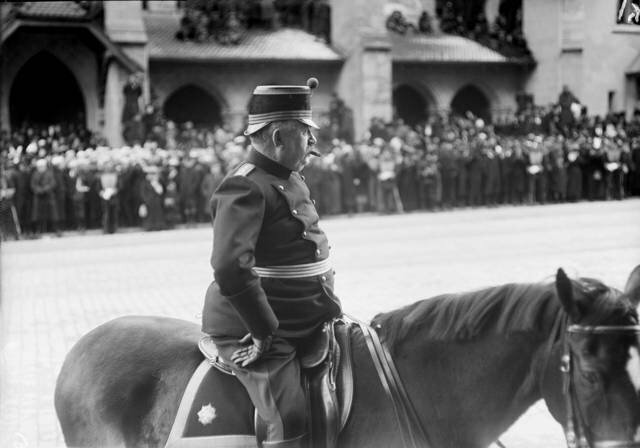 General Ulrich Wille, Swiss commander-in-chief during WW1. Switzerland provides in an anecdote by Švejk refuge for a guard who had lent his braces to an inmate who had murdered a captain. The prisoner hung himself in the braces. The guard got 6 months but escaped to Switzerland. Switzerland was neutral during WW1 and was in 1914 like today a federal republic. As a curiosity it must be mentioned that the Habsburg family hailed from Switzerland. During WW1 Lenin lived in Switzerland. He was from 1917 to play an important role in the events leading to Russia's withdrawal from the war. In addition Switzerland was during the war at times a place of refuge for Masaryk and other Czechs who worked for national independence. Jaroslav Hašek wrote several stories set in Switzerland and by all accounts he visited the country in 1904. Although this can't be confirmed by other sources than the author himself, the fact that he usually stories from places he had seen himself, gives a strong indication. In one story he wrote that he walked from Switzerland through Bavaria back to Domažlice. The trip must have taken place in the time-span July to September. The first story with a Swiss setting was published in Národní listy already on 6 November 1904 and was called Oslík Guat (Guat the Donkey) and takes place in the Bernese Alps. None of the places where the plot takes place can be identified according to the author's spelling. These places were "Dünsingen", "Tillingen", "Stroschein" and "Gallensheim". Mentioned in passing are Bern and Lake Constance. In the story Výprava na Moasserspitze the narrator writes that he stayed in Bern and prepared an excursion to "Moasernspitze, six hours away, in the canton Bern". The summit is said to have been pointed, but none of the spelling variations give an indication to which mountain was meant. The narrator also informs that the stay took place at the end of June, a timing that is at odds with the author's known whereabouts at the time. [1.1] To vědí, paní Müllerová, že v takový situaci jde každému hlava kolem. Profousa za to degradovali a dali mu šest měsíců. Ale von si je nevodseděl. Utek do Švejcar a dneska tam dělá kazatele ňáký církve. Hoisting the Portuguese flag during WW1. Portugal is referred to by Švejk when he talks about the killing of a fat king of Portugal. This surely refers to the assassination of Carlos I of the house Bragança in 1908. Portugal was in 1914 a republic which still kept some colonies, mostly in Africa. At the beginning of the 20th century Portugal experienced a power struggle between reformist and conservative groups. The republicans gained the upper hand, and a republic was established in 1910, two years after the murder of the king and the crown prince. On 9 March 1916 Germany declared war on Portugal and Portuguese forces took part in Africa and on the western front. Several Portuguese ships were sunk by German U-boats during the war. After the war, Karl, the last Habsburg emperor, sought refuge in Portugal and he died at Madeira. See Karl Franz Joseph. [1.1] Jestli se pamatujou, jak tenkrát v Portugalsku si postříleli toho svýho krále. Byl taky takovej tlustej. Waterloo and the famous battle there is mentioned by the author when he describes the pub landlord Palivec and his knowledge of Victor Hugo. Svejk also mentions it in [2.1] when on the train to Tábor. Waterloo is a town in Walloon-Brabant in Belgium, near Brussels. The town is known because of the famous battle that took place here on 18 June 1815, when Wellington and Blücher were victorious against Napoléon's French army. The battle meant the end of Napoleon's political and military career. [1.1] Palivec byl známý sprosťák, každé jeho druhé slovo byla zadnice nebo hovno. Přitom byl ale sečtělý a upozorňoval každého, aby si přečetl, co napsal o posledním předmětě Victor Hugo, když líčil poslední odpověď staré gardy Napoleona Angličanům v bitvě u Waterloo. Balkans is mentioned once by Švejk in the conversation at U kalicha. Later the peninsula appears in the conversation between Wendler and Lukáš. Balkans was at the start of the 20th century the least stable part of Europe. The two Balkan Wars had been fought in 1912 and 1913; first Greece, Serbia, Bulgaria and Montenegro against Turkey, then Serbia, Montenegro and Greece against Bulgaria. In the Second Balkan War, Romania and Turkey joined the war against Bulgaria when they realised that these were about to loose. Serbia got out of these wars politically strengthened, a fact which made Austria-Hungary increasingly uneasy and which may have contributed to their uncompromising stance in 1914. [1.1] A Švejk vyložil svůj názor na mezinárodní politiku Rakouska na Balkáně. Turci to prohráli v roce 1912 se Srbskem, Bulharskem a Řeckem. Chtěli, aby jim Rakousko pomohlo, a když se to nestalo, střelili Ferdinanda. [1.14.5] Pro chmel je nyní ztracena Francie, Anglie, Rusko i Balkán. Serbia is first mentioned in the conversation at U kalicha between Švejk and Bretschneider about the Balkans. Thereafter it reappears repeatedly, the slogan Heil, nieder mit den Serben! is quoted a few times. From book two onwards the Serbian army, irregulars and civilians are often mentioned in stories told by veterans from the campaign against Serbia. Serbia was in 1914 a kingdom on the Balkans that played a crucial role during the outbreak of WW1. Austria-Hungary made the Serb government responsible for the murder of Franz Ferdinand, the heir to the Austrian and Hungarian thrones. Serbia was the first country declared war on, and the first country to see fighting. Serbia stood up well against K.u.k. Heer and repelled three invasions in 1914, despite suffering heavy losses themselves. But after Bulgaria entered the war and German forces assisted the Austrians, resistance was broken in October 1915. Serbia was the country that relative to population figures suffered the worst losses in the war (indeed in any modern European conflict): roughly 27% of of the population perished, many of them in the worst typhus epidemic known in history. The borders of Serbia were in 1914 somewhat different from today. The kingdom included Macedonia but not Vojvodina and Banat which at the time were part of Austria-Hungary. The capital was (and still is) Belgrade. IR91 was sent to the Serbian front immediately after the outbreak of war and took part in all three invasions. They spent most of the time between 15 August and 15 December 1914 on Serbian territory. Their losses were frightening and when they finally withdrew across the Danube by Belgrade they were, like the rest of the invading army, utterly decimated. Several officers that later provided prototypes for Švejk's superiors took part in the campaign: Franz Wenzel, Čeněk Sagner, Rudolf Lukas, Josef Adamička and Jan Eybl. Every one of them apart from Eybl (he was there only the last three weeks) were at some stage injured or reported sick. At the beginning of October 1918 the regiment was, as part of the 9th Infantry Division, sent back to Serbia (Vranje south of Niš) because Bulgaria had pulled out of the war and their forces needed to be replaced. This was eventually one long retreat northwards in a K.u.k. Heer that was by now disintegrating. [1.13] Nadporučík Machek zajat v Srbsku, dluhuje mně 1500 korun. Je zde víc takových lidí. Ten padne v Karpatech s mou nezaplacenou směnkou, ten jde do zajetí, ten se mně utopí v Srbsku, ten umře v Uhrách ve špitále. [1.14.4] Švejk posadil se na lavici ve vratech a vykládal, že v bitevní frontě karpatské se útoky vojska ztroskotaly, na druhé straně však že velitel Přemyšlu, generál Kusmanek, přijel do Kyjeva a že za námi zůstalo v Srbsku jedenáct opěrných bodů a že Srbové dlouho nevydrží utíkat za našimi vojáky. [1.14.5] Kromě toho naše manévry na Srbsku pokračují velice úspěšně a odchod našich vojsk, který jest fakticky jen přesunutím, vykládají si mnozí zcela jinak, než jak toho vyžaduje naprostá chladnokrevnost ve válce. Bulgaria is mentioned during the conversation at U kalicha about Balkans. Bulgaria was a kingdom on the Balkans that was neutral during the first year of WW1. In September 1915 the country entered the war on the side of the Central Powers. Her main motive to join was to repair the damage after the defeat by Serbia in the second Balkan War. Bulgaria took part in the attack on Serbia in October 1915, the offensive that finally broke Serbia's resistance. Bulgaria was in 1914 slightly larger than today, she had to cede Thrace to Greece in 1918. Greece is mentioned in the conversation at U kalicha about the Balkans. Greece was neutral at the start of the war but in November 1916 it joined the Entente, strongly influenced by prime minister Venizelos. Greece was at the time a kingdom ruled by the House of Glücksburg. The country was in 1914 slightly smaller than today, it acquired Thrace from Bulgaria in 1923. Vltava from Žďákovský most, august 2009. Vltava is first mentioned in the anecdote about the man who jumped from the bridge in Krumlov. The river is mentioned several times later in the novel and Švejk must have crossed it twice during his anabasis in [2.2], without it being explicitly stated. The first crossing was between Květov and Vráž, the second on the train just before arriving in Budějovice. Vltava is the longest river in Bohemia. From its sources in Šumava, it passes Krumlov, Budějovice and Prague, before flowing into the Elbe by Mělník. The river's length is 430 km, and the catchment area is 28,090 km². In foreign languages the German name Moldau is frequently used. Krumlov is mentioned in the anecdote about Ludvík and also a few times in book two. The miller Baloun, a central character in the latter part of the novel, comes from the area around Krumlov. Krumlov was until 1920 the name of Český Krumlov, a town not far from the Austrian border. In 1913 the population count was 8,716 of which 7,367 were Germans. The town was seat of both hejtmanství and soudní okres of the same name. The district of Krumlov was located in the recruitment area of IR91, so Jaroslav Hašek would have known many fellow soldiers from there. See Ergänzungskommando. The medieval structure of the town has been preserved and it is on the world heritage list of UNESCO. It has become a major tourist attraction. Most v Krumlově is mentioned in the anecdote about Ludvík who jumped from the bridge in Krumlov into the Vltava. Most v Krumlově was according to the story a bridge across the Vltava in Krumlov. The story does not reveal which one the author has in mind, but it is probably Lazebnický most in the centre which is the oldest and best known bridge there. In this mainly German-speaking town the bridge was at the time also called Baderbrücke. Zliv is mentioned in an anecdote by Švejk, told to Bretschneider. It was about a gamekeeper who was shot by poachers. Zliv is a village in South Bohemia, situated 10 km north west of Budějovice and 4 km west of Hluboká. During the summer of 1896 (or 1897), Hašek's mother Kateřina took the children on a trip to the area around Protivín to visit relatives. Both his parents were from this area. They visited Zliv, Mydlovary, Hluboká, Budějovice, Putim, Skočice, Krč, Protivín, Ražice, and Vodňany. All of these places appear in Švejk and some of them even in the short stories. In the spring of 1915 Jaroslav Hašek appeared in Zliv again, now on an unauthorised "excursion" from the Budějovice garrison. In 1913 Zliv had 1324 inhabitants of which 1307 gave their mother tongue as Czech. It was an administrative sub-division of Okres Hluboká, Okresní hejtmanství Budějovice. [1.1] To byl ve Zlivi u Hluboké před léty jeden hajný, měl takové ošklivé jméno Pinďour. Hluboká is mentioned in the same anecdote as Zliv, about the widow after the gamekeepers who turns up at the office of The prince at Hluboká to ask for advice. Hluboká is a small town in South Bohemia, 15 km north of Budějovice. It was one of the favourite haunts of German-Roman Emperor Charles IV, who often visited when he resided in Budějovice. Nowadays Hluboká is best known for its Windsor-style chateau which until 1938 belonged to the House of Schwarzenberg. The town was an administrative sub-division of Okres Hluboká and Okresní hejtmanství Budějovice. Aalso called Podhradí, it counted 1,472 inhabitants in 1913, and including Podskal and Zámost it reached 2,835. Nearly all the inhabitants were Czechs, most of the remaining few were Germans. Jaroslav Hašek visited Hluboká during his childhood (1896 or 1897), probably also in 1915. See Zliv. Hluboká nad Vltavou, dř. Hluboká, též Podhradí, sídlo soud. okr., v polit. okr. českobuděj., 2927 ob. (1921), z nich nár. čsl. 2851, 2735 ob. (1930), z nich nár. čsl. 2648. Cís. výsad. listem z 20. květ. 1908 povýšen městys. [1.1] Byla až v kanceláři knížete pána na Hluboké a stěžovala si, že má s těmi hajnými trápení. Tak jí odporučili porybnýho Jareše z ražické bašty. Mydlovary is mentioned by Švejk in a story about he tells Bretschneider about U kalicha, about the gamekeeper. Mydlovary is a village 16 km north west of Budějovice and the birthplace of Josef Hašek, the father of Jaroslav Hašek. He was born in house number 8. The budding satirist visited Mydlovary during his childhood (1896 or 1897) and couldn't have been far away in 1915. See Zliv. The fact that his father was born in Mydlovary is significant. This meant that Jaroslav Hašek had right of domicile here so he, just like his literary hero, was drafted into IR91. In 1913 the community consisted of two villages that was recorded with 687 inhabitants of which 680 were Czechs. It had a church, a school and four pubs. The closest railway station and post office were found in Zliv. Zaháj was actually the largest of the two and the church was located here. Mayor at the time was Jan Kolář (relevant to the story about the scouts who were spanked with birch branches, see Okresní hejtmanství Budějovice). Mydlovary, ves v Čechách, hejtm. Č. Budějovice, okr. a pš. Hluboká, fara Zahájí; 34 d., 319 ob. č. (1890), dobývání hlíny na výrobu zemitých barev a ložisko železné rudy. [1.1] Zastřelili ho pytláci a zůstala po něm vdova s dvěma dítkami a vzala si za rok opět hajného, Pepíka Šavlovic z Mydlovar. Ražická bašta is mentioned by Švejk in an anecdote about the pond warden Jareš, no doubt inspired by the author's grandfather, Antonín Jareš. This connection appears again in chapters [I.14] and [II.2]. Ražická bašta was a fishpond construction between Ražice and Putim that belonged to the Schwarzenberg family. The authors grandfather was pond warden here and Hašek wrote a few stories about him in Veselá Praha in 1908 (Historky z ražické bašty). The pond and barrier is still there but is no longer used for fish-farming. The pond wardens building is not there, but is still visible on an army-map from 1928. The young Jaroslav Hašek visited the place in 1896 or 1897 together with his family. See Zliv. [1.1] Tak jí odporučili porybnýho Jareše z ražické bašty. Mexico is mentioned in the conversation between Švejk and Bretschneider. The brother of Franz Joseph I, Maximiliano I, was emperor of the country from 1863 to 1867. Here he is simply referred to as the emperor of Mexico. Mexico is mentioned again in [II.2] when Marek tells Švejk about conditions in IR91. Mexico was in 1914 a republic suffering turmoil after the dictatorship of Porfirio Diaz had been overthrown in the revolution in 1911. In the period from 1864 to 1867 Maximiliano I av Mexico was emperor, and it is in this context the country is mentioned in the novel. [1.1] Manželku Alžbětu mu propíchli pilníkem, potom se mu ztratil Jan Orth; bratra, císaře mexického, mu zastřelili v nějaké pevnosti u nějaké zdi. Cerro de las Campanas is mentioned indirectly in the conversation between Švejk and Bretschneider where it is stated that the brother of Franz Joseph I was executed at "some fortress by some wall". Cerro de las Campanas is a hill in Queretaro where emperor Maximiliano I was executed in 1867 after having lost the war against the republican rebels led by Benito Juárez. Russia is briefly touched upon during the conversation U kalicha about the political situation after the assassinations in Sarajevo. The next brief mention is in [I.14,1] when Katz has lost Švejk in a game of cards "as if he was a serf from Russland". Later on in the novel the country is mentioned several times; it was after all Russia the main protagonists were sent to fight against. Russian citizens take part in the plot directly when Švejk is assigned to a transport of Russian prisoners in Chyrów. The author at least once adds fragments from his own experiences in Russia (see Dubno). The original advertising poster for the novel makes it clear that Jaroslav Hašek planned to stage the latter part of the plot on Russian territory - the poster mentions the Russian civil war explicitly. Russia (rus. Россия) was in 1914 an empire ruled by the Romanov family and was far larger than the current Russian Federation. It included all of the later Soviet Union, all of Finland and the greater part of current Poland. The empire was at its largest in 1866 when it sold Alaska. Russia's support to Serbia during the July crisis in 1914 is one of the prime reason why a regional conflict on the Balkans developed into a world war. Russia were ill prepared for a prolonged war, serious supply problems and inept military leadership soon led to catastrophic losses. Still they managed to invade Galicia and Bukovina in 1914 and for a while they even threatened to cross the Carpathians. On 2 May 1915 the central powers launched a successful offensive by Gorlice and Tarnów and 1915 turned out to be a disaster for Russland who had to withdraw from Poland and Galicia. During that year the lack of equipment took its toll, and many soldiers were sent into action without firearms. In 1916 the situation improved somewhat as the Brusilov-offensive inflicted such heavy losses on Austria-Hungary that a collapse threatened. German reinforcements however stabilised the front and Russia spent much of her diminishing strength on futile break-through attempts. The tsarist empire fell in March 1917 but the new provisional government decided to continue the war. A last offensive got under way on 1 July 1917 but soon ground to a halt. 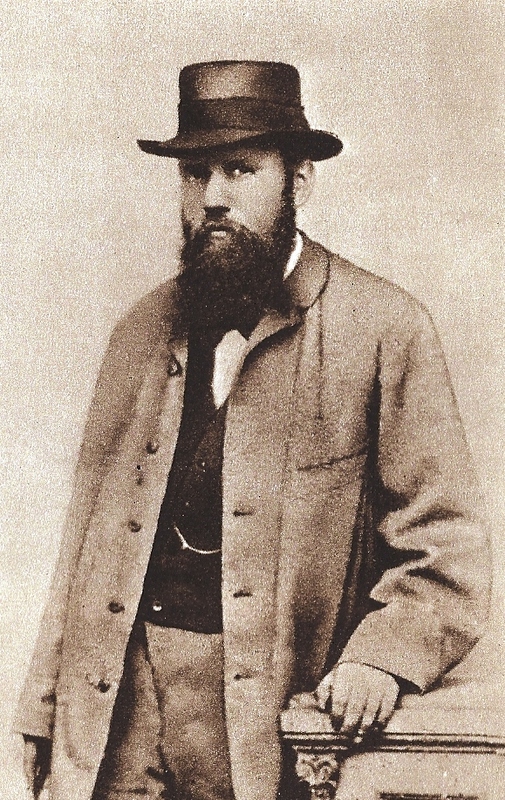 During this fighting Czech volunteers (including Jaroslav Hašek) for the first time operated as a unit against the Dual Monarchy (Zborów 2 July). A German counter-offensive from 19 July led to a complete meltdown of a Russian army that already was badly affected by mass desertions and breakdown in discipline. In the aftermath of the October Revolution (7 November) a ceasefire was concluded, and the new communist authorities had to accept harsh terms in the peace treaty of Brest-Litovsk (signed 3 March 1918). All of the Baltics, Finland, Poland and Ukraine were ceded (Ukraina was recovered after the war). The subsequent civil war prolonged the suffering of the peoples of Russia with many years and in 1921 a massive hunger catastrophe hit some regions. The Russian defeat in the world war had fatal consequences; it paved the way for 70 years of Communist rule, and at times an extremely brutal. Jaroslav Hašek served as a messenger on the front against Russia from 11 July 1915 and at the end of the month he participated in the bloody battle against the Russian 8th army by Sokal. On 27 August 1915 his IR91 crossed the border and from that day he was continuously on Russian soil until around 4 December 1920. It was on Russian territory he let himself get captured (Chorupan on 24 September 1915. After 9 months as a prisoner of war Jaroslav Hašek was from June 1916 until March 1918 a volunteer in the Czech forces in Russia (see České legie), and was therefore formally a Russian soldier. After breaking with the legions in April 1918 he became of journalist, agitator and recruiter for the Czech communists, later directly for the Bolsheviks - positions he held until he was sent back to his homeland as agitator at the end of 1920. He had learnt Russian already as a youngster and reportedly mastered the language very well, and by his return he had adapted to the degree that even his novel contains “russianisms”. During his 5-year stay in Russland his travels covered extensive areas, mostly in Ukraine, in the Volga region and in Siberia. On 15 May 1920 he married a Russian woman, Alexandra Lvova. She followed him back to Prague later that year. [1.14.1] Polní karát prodal Švejka nadporučíkovi Lukášovi, čili lépe řečeno, prohrál ho v kartách. Tak dřív prodávali na Rusi nevolníky. [1.14.5] Francie, Anglie i Rusko jsou příliš slabé proti rakousko-turecko-německé žule. Turkey is theme of the conversation at U kalicha about the political situation after the assassination in Sarajevo. Švejk blames the Turks for the murder of Franz Ferdinand. The country is mentioned again in [I.14] during Lukáš' long lecture to hop-trader Wendler about the war situation. This conversation also mention a number of distinguished Ottoman politicians and officers. Amongst them are the Sultan, Enver Paşa, Cevat Paşa, Hali Bey, and Ali Bey. Also mentioned are Constantinople, Dardanelles and the Turkish Parliament. Turkey (the Ottoman Empire) was a state that existed until 1922 and was succeeded by modern Turkey. The area was still in 1914 far larger than that of the current republic and included great parts of the Middle East. It was a multi-ethnic empire, consisting of Turks, Arabs, Armenians, Albanians, Greeks, Jews etc. The capital was Constantinople. From 29 October 1914 the Ottoman Empire entered the war as one of the Central Powers. It started with an attack on Russian Black Sea ports, and a few days later Russia declared war, and soon after Turkey was also at war with England and France. Turkey fought on several fronts: against Russia in Caucasus, against the British in Egypt and Mesopotamia, against the Russians and British in Persia. 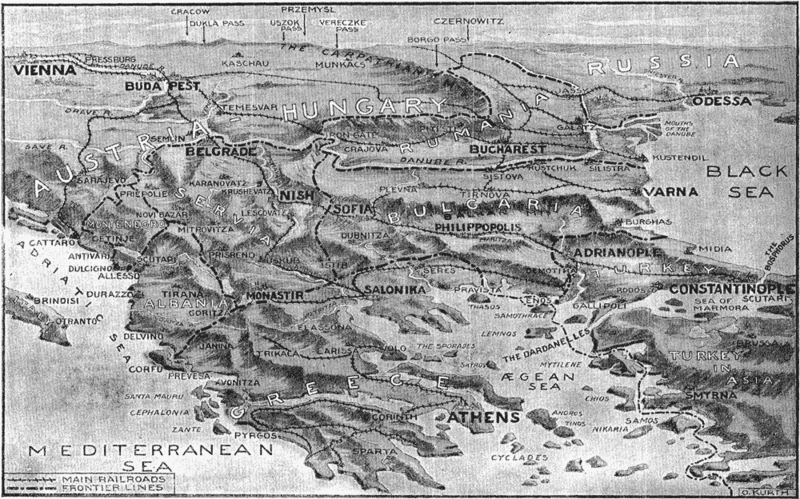 In 1915 the allied attempt to force the Dardanelles opened another front, although short-lived. Moreover the empire had to fight uprisings on the Arab Peninsula and elsewhere. Several high ranking Germans served in the Ottoman armed forces, both as commanders and advisors. Amongst them were Liman, Goltz Paşa and Usedom Paşa. A lasting shadow over the final years of the Ottoman Empire was cast by the genocide of Armenians in 1915. Turkey had only minor military success in the war, but a major exception was the defence of the Dardanelles and the Gallipoli Peninsula in 1915. By the end of 1917 Allied forces stood deep in Ottoman territory: Palestine and also in Mesopotamia. After Bulgaria pulled out of the war in September 1918 Turkey's position became untenable and the armistice was signed on 30 October 1918. The defeat in the World War meant the end of the empire and the loss of all her Arabic possessions. The core Turkish areas of the empire was transformed into a republic and was to become the pillar of modern Turkey. [1.14.5] „A co Turecko?“ otázal se obchodník s chmelem, uvažuje přitom, jak začít, aby se dostal k jádru věci, pro kterou přijel. France is mentioned in the conversation between Švejk and Bretschneider at U kalicha about the political situation after the assassinations in Sarajevo. Many French people are mentioned in the novel: Napoléon, Hugo, Papin and Rabelais are amongst them. In the conversation between Wendler and Lukáš in [I.14] French places are mentioned, all along the front in northern France. The officer also mentions the country itself and Wendler mentions these places along the front: Combres, Woëvre, Marchéville and Vosges. The rivers Meuse and Mosel that partly flow through the country are mentioned in the same sequence.The culinary connections are mentioned through Cognac and Bordeuax. France France was in 1914 a democratic republic of nearly 40 million inhabitants and also ruled over a large colonial empire, mainly in Africa. was one of the main participants in WW1. Germany declared war on her on 3 August 1914, on 11 August France declared war on Austria-Hungary. Already from 1894 France had signed a military alliance with Russia, and from 1907 England joined them in the so-called Triple Entente, albeit with fewer military obligations. The rising power of Germany was the reason why these former rival powers now joined forces. Throughout the war nearly the whole the Western Front cut through northern France, and the area where the fighting took place was devastated. French war casualties totalled 1.7 million dead, and out of these 1.4 million were soldiers. The losses made up more than 4 per cent of the population. France was close to collapse both in 1914 and 1918 when the German army reached the river Marne, north-east of Paris. France was the first state to recognize the Czech and Slovak claim for an independent state, and the Czechoslovak National Council was seated in Paris from 1916. On 7 February 1918 the Czechoslovak Army Corps in Russia formally became part of the French army and were to be transferred to the Western Front. See České legie. This was a decision Jaroslav Hašek disagreed with and it was the main reason why he left the army corps two months later. After the Treaty of Versailles France was given back Alsace and Lorraine, provinces that had been ceded to Germany in 1871. [1.14.5] Stejně Francouzům hrozí v nejkratší době ztráta celé východní Francie a vtržení německého vojska do Paříže. Germany is first mentioned at the conversation at U kalicha about the political situation after the assassinations of Sarajevo. The country then appears repeatedly throughout the novel, particularly during the march battalion's journey to the eastern front in 1915. Towards the end of the novel Švejk even meets German soldiers. The author notes how well they are provided for compared with their allies from Austria-Hungary. Many German nationals are mentioned; amongst them emperor Wilhelm II. and Hindenburg. A number of German cities also appear: amongst them Berlin. It also revealed that Švejk once visited Bremen, and this is as far as we know the only time he ever ventured beyond the borders of Austria-Hungary.. When forging of the pedigree of Fox Švejk mentions the name of several institutions in Germany related to dog-breeding (see Nuremberg). A few places in Elsass (Alsace) are mentioned in the conversation between Lukáš and Wendler, amongst them Mühlhausen (Mulhouse). During his famous dream Biegler refers to some smaller places in his account of the battle by Leipzig in 1813 (see Wachau). The last time we hear about Germans is when Švejk arrives at Żółtańce where he has to witness that the Germans get draught beer, a luxury he and his comrades can only dream of. We are also told that men from his regiment have been in a brawl with the Bavarians at the town square. Germany was in 1914 a constitutional monarchy with the emperor as head of state, officially named Das Deutsche Kaiserreich. She entered the war as an ally of Austria-Hungary in 1 August 1914 when she declared war on Russia. The two Central European powers had been allies since 1879, and Germany’s explicit support was one of the reasons that the Dual Monarchy risked to "teach Serbia a lesson" in 1914. Two days later the two-front war became a reality through the French declaration of war. The German attack on Belgium on 4 August 1914 landed an even more powerful enemy: England and its vast British Empire. In 1914 Germany possessed the strongest army in the world but despite her military might she could ill sustain a prolonged conflict where the adversaries were superior in industrial resources, manpower and not the least in raw materials. The British naval superiority was also a determining factor; the blockade was soon to lead to serious shortages and later outright destitution. From 1915 onwards Germany repeatedly had to act to help its weaker ally Austria-Hungary. At the section of the front in Galicia and Volyn where Jaroslav Hašek and his IR91 took part in 1915, the troops of the Dual Monarchy were supported by German units and three of these are mentioned in the novel (see Posen, Hanover and Brandenburg). Although Tyskland plays a peripheral role in the novel, it appears considerably more often in the stories Jaroslav Hašek wrote when serving in the Czech exile organisations in Russia in 1916 and 1917. In these stories whose purpose mainly is propaganda against the Central Powers, Germany is as one would expect portrayed in a negative way. Dobrý voják Švejk v zajetí is an example of this. In the autumn of 1916 the author spent much of his time at the front by the river Stochod (now Stochid), where they faced the German army. The defeat in 1918 meant the end of imperial Germany which was succeeded by the Weimar republic. The Versailles peace treaty of 1919 forced Germany to cede large areas; mostly to Poland and France but also smaller areas to Denmark, Belgium and Czechoslovakia. Germany suffered more than 2 million fallen and in addition a few hundred thousand civilians who died due to hunger and shortages. The economic, social and political consequences of the of defeat were fatal and to a great extent it paved the way for Nazism and the resulting Second World War. Serving the Bolsheviks in 1919 and 1920 Jaroslav Hašek worked closely with German internationalists (communists), recruited from POW camps. There is every indication that he closely followed the revolutionary movement in Germany and at this time he even wrote a poem in German. It was called Spartaks Helden and was a homage to the murdered communists Rosa Luxemburg and Karl Liebknecht. The poem is however dangerously close to being a copy of Erich Mühsam's Generalstreik - Marsch. Jaroslav Hašek visited Germany in the summer of 1904, and he probably only visited Bavaria where he at least must have spent a few weeks. He wrote a handful of short stories about this trip. He knew German well although quotes from the novel indicate certain shortcomings (in the German translation numerous German-language quotes are corrected). In another story he indicates that he visited Dresden, which is also very probable. On 8 December 1920 he was again on German soil. He and his wife Alexandra arrived from Tallinn to Swinemünde (now Swinoujście). They were returning from Russia and took the train onwards from Stettin (now Szczecin) in the evening on 9 December. The stay on German soil was brief, probably less than 48 hours, with a likely change of trains in Berlin before they travel onwards to Pardubice where they arrived in the evening of the "second day” (probably 10 December). [1.14.3] A vopravdu, lidi hned byli rádi, že to tak dobře dopadlo, že mají doma čistokrevný zvíře, a že jsem jim moh nabídnout třebas vršovickýho špice za jezevčíka, a voni se jen divili, proč takovej vzácnej pes, kerej je až z Německa, je chlupatej a nemá křivý nohy.